Why Is Your Car So Cool? Have Previously Entered Our Show? What Is Your Overall Event Rating? WoW! Fun Happenings for 3 Days. You Killed it! I understand this application requires approval by the Rods 'n Rhodies Committee. 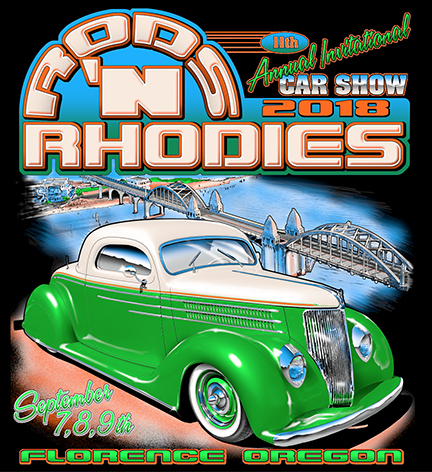 Florence will be in top gear and revved-up for you during the 11th Annual Invitational Rods ‘N Rhodies Car Show presented by the Florence Area Chamber of Commerce September 7-9. Rods ’N Rhodies Weekend includes the fifth annual Community-wide Garage Sale with dozens of residential and commercial sales all around town.